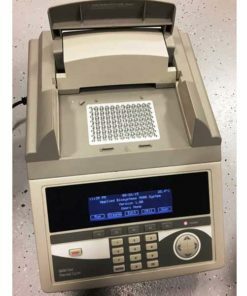 ABI 9800 Thermal Cyclers are equipped with patented sample temperature controls and uniform thermal response capability that allow for easy collection of temperature-consistent samples. In addition, the instrument’s pre-tested software protocols enable users to perform rapid traditional and new protocol switching. The ABI 9800 Thermal Cycler also features custom-made tubes and microplates and a pre-mixed GeneAmp® Fast PCR Master Mix effective for producing high quality PCR amplicons perfect for standard-speed DNA sequencing reaction templates. This thermal cycler’s comprehensive protocols and robust design ensures fast and reliable results in just minutes. 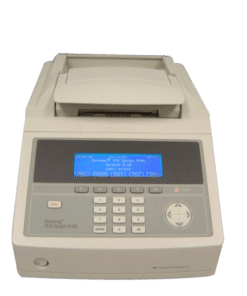 Call us today to learn more about the ABI 9800 Thermal Cycler!